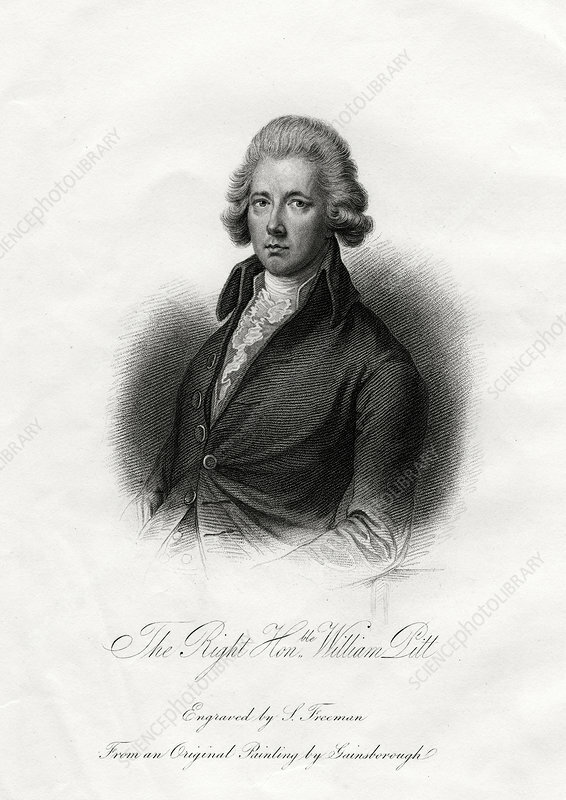 William Pitt the Younger, British statesman, 19th century. Pitt (1759-1806) became Prime Minister at the age of 24, making him the youngest to hold the office in British history. He was also one of the longest serving Prime Ministers, holding office from 1783-1801 and then again from 1804-1806. Artist: J Posselwhite.